Bells Brewery, Fund Raiser for Loaves and Fishes, MOMS DEMAND ACTION and Coalition to Reduce Gun Violence. 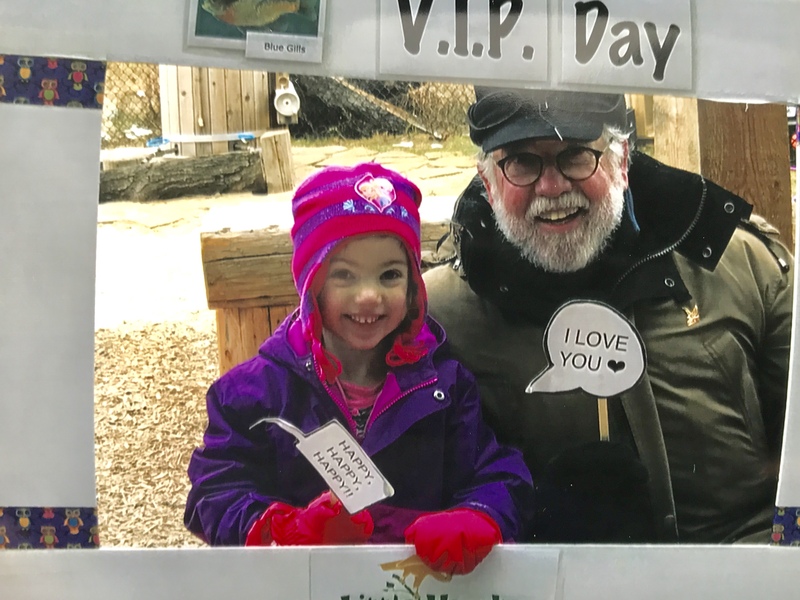 Steve Barber participated in VIP day at granddaughter’s preschool in Holland, Michigan. The staff, the facility and the program were excellent. 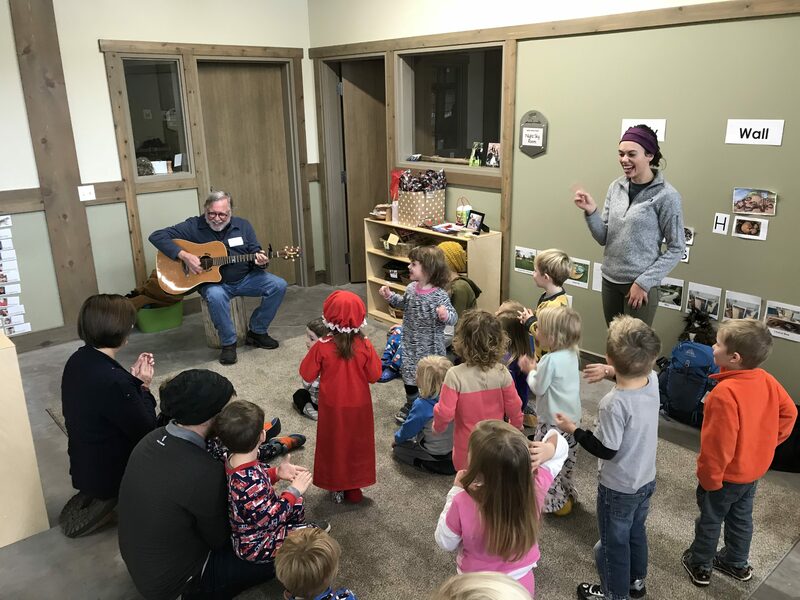 Winter Break Programs – Songs and Stories at the KALAMAZOO VALLEY MUSEUM, January 3rd, Noon. 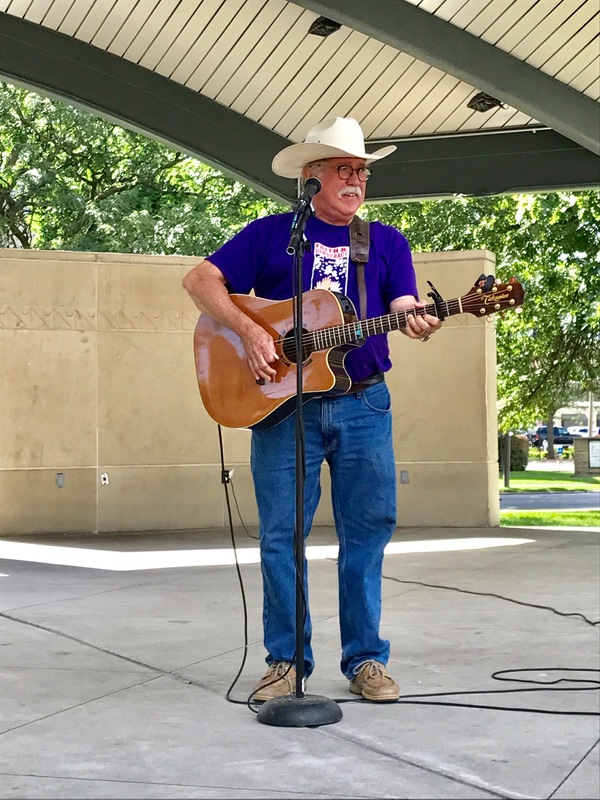 Steve Barber is a retired teacher and elementary principal who will share stories and songs from his life and his family to help others talk about their own families and their own stories. 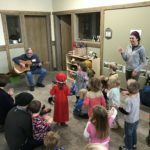 He will talk and sing about his dog, going fishing, grandparents, a bunny that hopped across his yard, and his kitties that learned to dance. 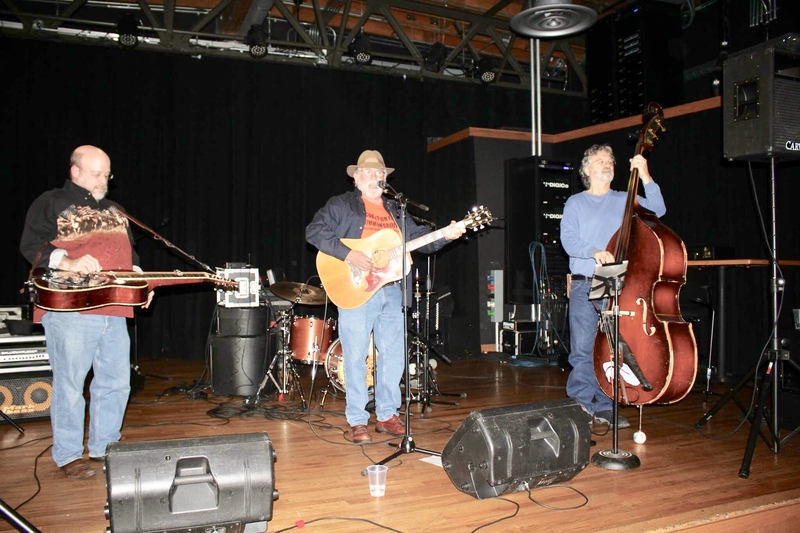 In addition to these songs, he will play and sing songs written and played by Woody and Arlo Guthrie. Woody Guthrie and Steve’s uncle Charlie may have ridden the rails together back in the 1930’s. His Uncle Charlie rode the rails, picked fruit in California, and helped build the Golden Gate Bridge. Family stories, what fun! Steve Barber and Robin Nott will share songs and stories in a workshop during the Coopers Glen Music Festival. 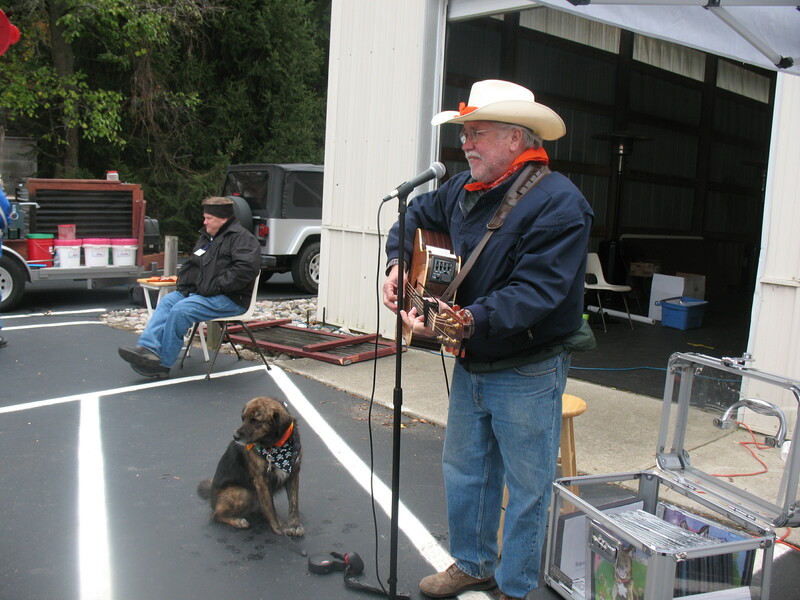 Steve and Robin performed during this workshop last year and had so much fun, they’re doing it again. Plan to join in the fun.